Pouch Measures: 9" x 11.5"
Ssealed on one edge to create a paper laminating pocket to be used in thermal laminating machines. Our pouches are comparable to GBC, Scotch, IBICO, 3M and other brands found at major office supply retailers like Staples and Office Max. For use in most Hot Pouch Laminator Machines. Check your laminator instuctions for maximum pouch width and thickness. 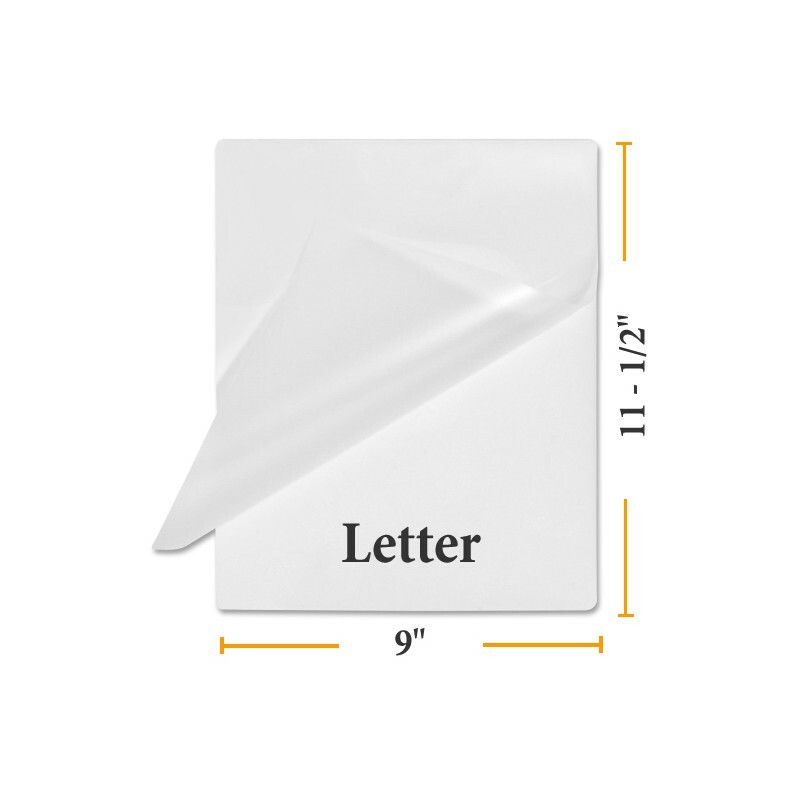 Protect important letters and documents from UV rays, folding, spills and general damage with heat seal lamination. 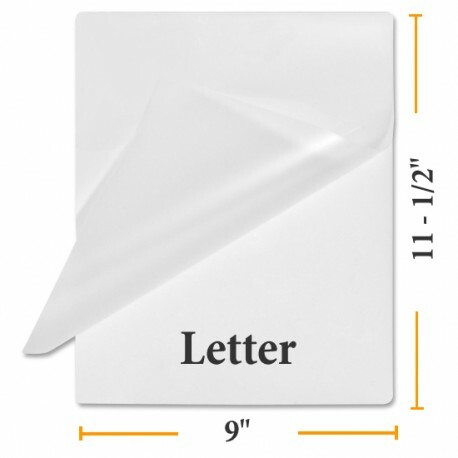 These easy to use, letter size heat activated lamination pouches offer a cost effective way to protect your letter size documents of all types.